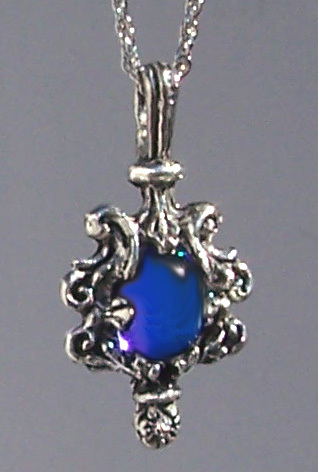 Pewter filigree cradles an Austrian crystal over 1/2 inch long. The crystal cabochon seems to glow in even the dimmest light. We cast it in to the molten lead-free pewter, and (like all our Pewter Pendants) it comes on a chain. It is 7/8 of an inch wide.